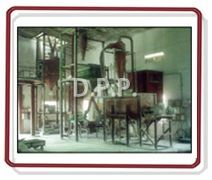 D. P. Vacuum Conveying System works on negative pressure for conveying the material from one or number of pickup points to one discharge point. 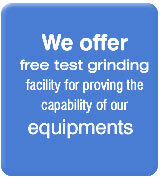 This system is best suitable for providing dust free conditions around inlet. 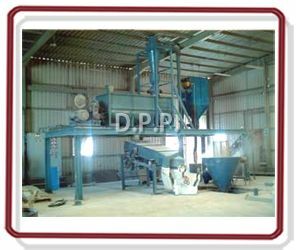 D. P. Pressure Conveying System conveys bulk material by air under pressure. This system offers advantages of conveying material from one place to one or number discharge points. D. P. Combined Vacuum- Pressure Conveying System conveys the material from various pick-up points to various discharge points, it is also used where vacuum pick-up and pressure delivery is required. 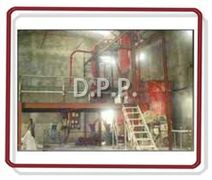 D. P. Closed Loop Conveying Systems are designed for handling, explosives and hazardous materials. The conveying gas is usually nitrogen for explosive materials, and dry air is used for handling hygroscopic materials. • Rotor with beveled tips for powder. • Connection with plug for bearing purging. • System pressure max. 1.5 bar g.
• Housing and side plates in cast stainless steel/cast aluminum or cast iron construction. • Rotor shaft in stainless steel/mild steel. • Gear motor support made of M.S. • Chain drive with M.S. guard.